On Asti hills a space to regain contact with yourself and nature, to rest the body and nourish the soul. A place to hear the sounds, smells and tastes of the past. Where time passes slowly, where the eye rests, rocked by the rolling hills and accompany him downstream. The house of 700 restored and furnished in vintage style consists of two separate bedrooms with private bathrooms. A kitchenette and living room. The house, completely independent, which offers a splendid view and has been recently renovated, has a kitchen / living room where there is a double sofa bed with 2 beds, on the same separate floor from the hallway is the vintage room with a double bed split into two singles. On the upper floor by a spiral staircase leads to the twentieth century room with a double bed and a single bed for a total of 3 beds. There is the possibility for a fee and by reservation to take advantage of the holistic health resort Zorba the Buddha where you can receive massages, follow guided meditations active and experience the garden-therapy. The Municipality of Passerano Marmorito has obtained from the Piedmont Region and the Regional Directorate for Cultural Heritage and Landscape of Piedmont the Declaration of Notable Public Interest of the Landscape of Schierano, Primeglio and Marmorito. It is also included in the integrated enhancement network of the cultural, architectural and landscape resources of the Romanesque Asti area. Walking through the hills of the Woods you can touch a landscape that was once covered by the sea and sand, a few meters from the house there is a stratified outcrop of the Triassic. 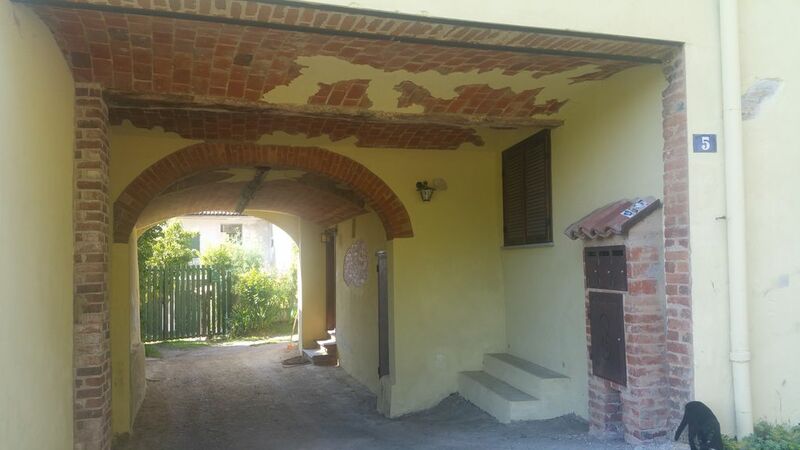 The house is just a few kilometers from the road of the wine and the flavors of the lower Monferrato and the land of the saints where there is the sanctuary of Colle don Bosco and the birthplace of Saint Dominic Savio.